Indie Royale just keeps getting bigger and bigger. To celebrate the wretchedly humid weather, they're bringing nine indie games to the beach party. This includes an award winner, a neoclassic adventure, an eccentric shooter, three very eccentric shooters, an even more eccentric shooter fighting game and a revamped Flash game classic. Included among the nine is a beta key for the Transformersrsque MOBA AirMech, which you can find my thoughts on in the last Royale round-up. Paying above eight dollars will snag you a music album, Pixeljams Vol. 1, while the minimum price constantly fluctuates, as always. If you plan to pick one up, the sooner the better. Of course, the question is should you pick one up? Skip past the break to see my thoughts. Oxeye Game Studio might be more famed nowadays for their recent release Cobalt, or perhaps for their role as lead Minecraft developer Jens Bergensten's usual stomping ground. There's more to the studio than just their association with Mojang, though. 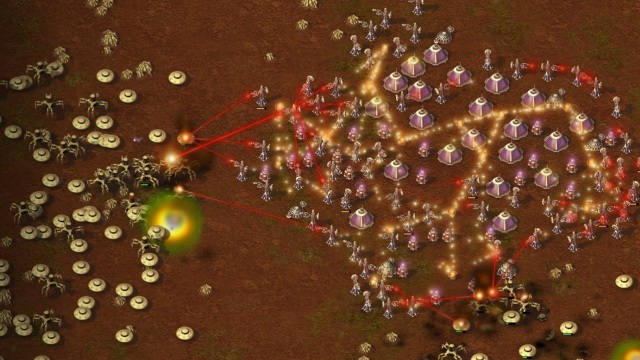 There's also Harvest: Massive Encounter, a base building tower defence. I would hesitate to call Harvest: Massive Encounter a tower defence game, even though that's exactly what it is. There are aliens and they want to destroy your base, so you need to build enough lasers and missiles to stop them. The reason tower defence doesn't seem like an apt description is because the game feels more like an RTS base building game, without all those pesky trappings like units and such. 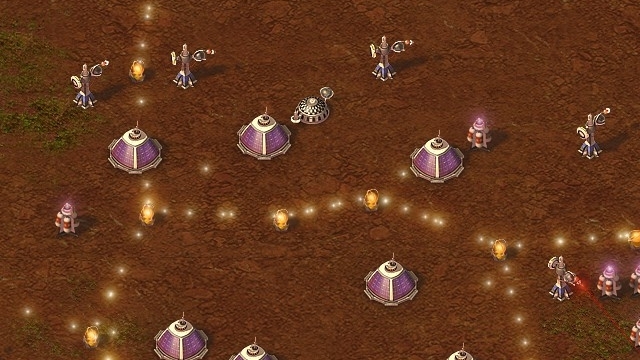 There's nothing to defend except for your own base, so each round of Harvest becomes an exercise in rapid expansion and careful resource management to withstand the ever increasing alien attacks. It's also quite a minimalist title, which works well in some ways and not so great in others. There are literally just five buildings to work with: two resource generators, two forms of weaponry and a node that connects everything together. While spamming everything in large doses works for a while, the real strategy for the game comes from linking structures together to soup them up. Linking a cluster of lasers to one turret greatly increases the range and power, but uses more energy. Linking other structures can have benefits too, like the ability to fire off a devastating energy pulse during really hectic moments. It certainly makes up for the lack of structures, and gives the game strategy without resorting to absurd complexity. The main issue with the minimalist title is just how little of it there is. The game does not have any form of campaign or level structure, with just three semi-procedural map types. There are five modes, many of which are neat variations on the game, but only Waves has a clearly defined goal with the rest just simply endless waves of baddies. Clearly Harvest is built for repeated playing and high scores, but it does feel like there's just not enough content. It's really quite fun, but I didn't find it conductive to long sessions or repeat playthroughs. That's not to sell the game short, because the gameplay has some truly neat ideas and the absolutely massive waves are fun to watch and even more fun to defend against. If you're the kind of person who loves to plan the perfect impenetrable compound in your RTS games, Harvest: Massive Encounter cuts out the middleman with a perfect dose of base building. I just wish they took things a bit further. It is definitely a fantastic time to be an adventure game fan. It seems like neoclassical adventure games come out every week now, and many of them are easily on par with the good old days. 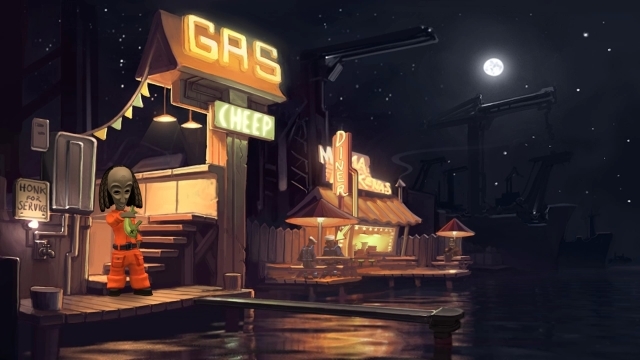 One of the foremost games among this excellent revival is The Journey Down, a new episodic series from SkyGoblin that's quite unlike anything else. 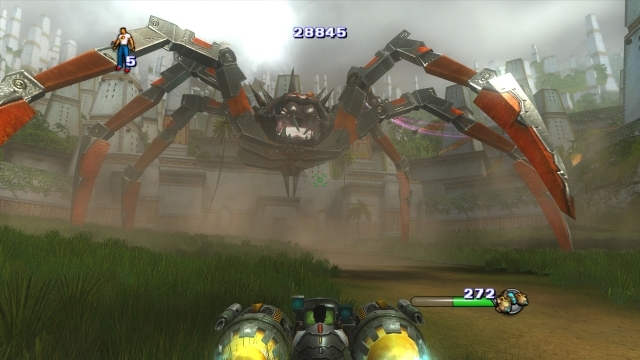 Part of the uniqueness is the setting, an advanced would-be dystopia with a huge African and Caribbean influence. A corrupt corporation, large scale cover-ups, strict invasive laws and myths told of a long lost land in the Underside are all elements that would make for a great conspiracy story. However, main character Bwana has absolutely no interest in any of this. 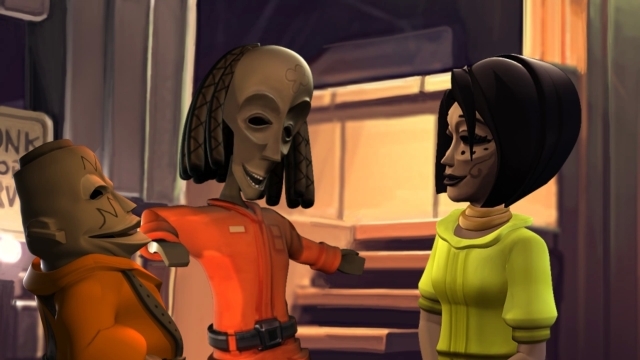 As a laid back charter pilot turned mechanic, Bwana takes a very relaxed Rastafarian approach to life, only interested in things for laughs, the girl or occasionally the money. It's a bit jarring to play as a character who is so happy about everything and so thoroughly doesn't care about all the problems facing him, and it certainly is a breath of fresh air. This laid back style is perfectly handled by some excellent writing and a great supporting cast. The dialogue is funny without becoming overly ridiculous or meta, with lots of good jokes and funny lines. The writing is handily supported by the style, which uses a very unique and stunning "wooden" art design. The voice acting is similarly excellent. There are a few so-so performances and a couple of volume issues here and there, but the major characters are all handled perfectly, so long as you don't find that Bwana's accent becomes grating. Personally, I love it. Let's return to the graphics. This release of The Journey Down is technically a remake of a freeware version, with the aforementioned voice actors and high definition 3D graphics being the main differences. There's generally a stigma against 3D graphics in adventure games, but The Journey Down shows why this is a bit of a narrow minded way of thinking. The Journey Down simply shows that "classic" doesn't necessarily have to mean pixelated or low resolution. The game looks, feels and plays like any classic adventure, updated to take advantage of modern technology without losing the soul of the genre. Put simply, any adventure fans simply have to play this game. It's clever, interesting, funny and extremely well made. I eagerly await to see where things go for Chapter Two. You know things are going to be weird in Serious Sam 2 as it's often considered the odd one out of an already odd franchise. Serious Sam 2, to many, seems like a lost instalment as it became very hard to find in stores and impossible to download via Steam and elsewhere. Many people didn't even know it existed, as they simply didn't realize Serious Sam 2 was a completely separate game from The Second Encounter. Fortunately for those looking to complete the collections begun by the Serious Sam Lightning Pack, Devolver Digital recently sorted out the red tape and brought Serious Sam's excellent adventure to Steam and, by extension, to this very bundle. Croteam did an excellent job on the Serious Engine 2 as despite being nearly seven years old at this point, Serious Sam 2 still looks really great. The engine came loaded with plenty of bells and whistles like HD textures, physics, lighting effects and plenty more, and can be easily upscaled to any resolution. Aside from the fuzzy prerecorded cutscenes, the game looks fantastic. Croteam takes full advantage of this new technical prowess by making the already big levels of Serious Sam bigger, more complex and far more colourful. This added colourfulness is generally effective, but sometimes jarring. It feels a bit ridiculous to talk about realism in a game where the primary enemy is a headless man with bombs for hands, but the main reason Serious Sam 2 is the black sheep of the series is the game's shift towards even more outlandish settings and enemies. There's a whole other level of cartoonishness to the world that goes beyond the weird design of The First Encounter by nearly parodying it with things like shotgun toting zombie stockbrokers and magic axe slinging Onan the Librarians. Complicating this is the removal or redesign of many classic enemies. This isn't exactly a bad thing per se, but it definitely feels different. Despite the shift in style, the run backwards and shoot everything gameplay of Serious Sam remains just as fun as it always was, while new additions like giant enemies, more settings and big setpieces only make things better. The most interesting thing about the Serious Sam series is how it uses contemporary FPS gimmicks to show just how different the games are. 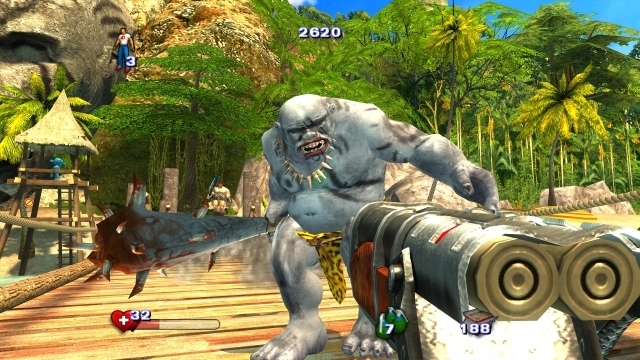 Serious Sam 1 was a clear Doom and Duke Nukem homage, but with better computers and innovations like mouse-looking to back it up. Serious Sam 3 opens with a Gears of War or Modern Warfare style sequence of satire. Serious Sam 2 came out in the Halo and Half Life era, and likes to pull from those games without losing itself in the process. Innovations like vehicles, NPC allies and an ersatz Cortana type get brought in, chewed up and spit back out to fit the Serious Sam style. It's fascinating, and a ton of fun to boot. If you're a classic FPS fan, or fond of the earlier Serious Sam games, this one is well worth picking up. Even though I have some of the widest tastes around when it comes to video games, some genres just simply elude me. Enter Japanese bullet hells. I've been known to enjoy the occasional scrolling shooter, and some of them can include a positively uncomfortable number of bullets on the screen, but that's small time compared to the Gundemonium Collection. This is a neat little package of a bullet hell series imported to Steam, which includes the editorially nightmarish titles Gundemonium Recollection, GundeadliGne and Hitogata Happa. Let's get this out of the way: these games are bizarrely surreal. All three place you in the role of a magical girl who needs to shoot many... well, demons? Witches? Robots? All I know is that they're often mechanical, often female and occasionally semi-naked. You don't really have time to dwell on the admittedly well designed sprite artwork though, as hundreds of bullets are streaming towards you. Using your very small hitbox, one must slip through the cracks and make everything explode to save Prussia or blow up a hell portal or something. Things get a bit lost between cultures. Still, even though the style is the exact sort of cheesy anime you'd expect, the gameplay is top notch. Everything is technically "fair", but in the insane way that all tense and difficult games are fair. Figuring out the trick to every bullet pattern, sliding between shells and using your special abilities sparingly is a ton of fun, and it's incredibly satisfying to pull off. If you're worried about not being skilled enough, the games include several different modes, difficulties and characters to make things more manageable for beginners or brain-meltingly difficult for pros. I can't say whether or not the Gundemonium Collection is the best introduction to Japanese bullet hells out there, but as a complete newbie to the genre I can say it served as a fine introduction for me. Though all three games are part of the same series, there's certain differences between them. Gundemonium Recollection and GundeadliGne are very similar horizontal shooters in which you have a main attack, special mana attack and screen clearing bomb ability. The latter title adds in basic sequel traits like different characters, new abilities, bigger setpieces, slight UI tweaks and a co-op mode. The outlying one is Hitogata Happa, which is a vertical shooter and swaps out the magical girl cowboy for an army of living dolls led by a witch. The key difference here is that you no longer have a separate bomb ability as the doll serves as a suicide bomber after the meter charges. It's very tricky to get a hang of and less accessible than the first two, but ultimately more strategic due to the way many different dolls can be purchased and sacrificed accordingly, assuming you can keep them alive that long. Ultimately I'd have to say that the Gundemonium series is certainly well worth checking out if you're a fan of shumps or you want to try and break into the crazy world of bullet hells. It may be incomprehensible in terms of story and style, but everyone understands the shared culture of shooting baddies and dodging bullets. It's exhilarating and satisfying. 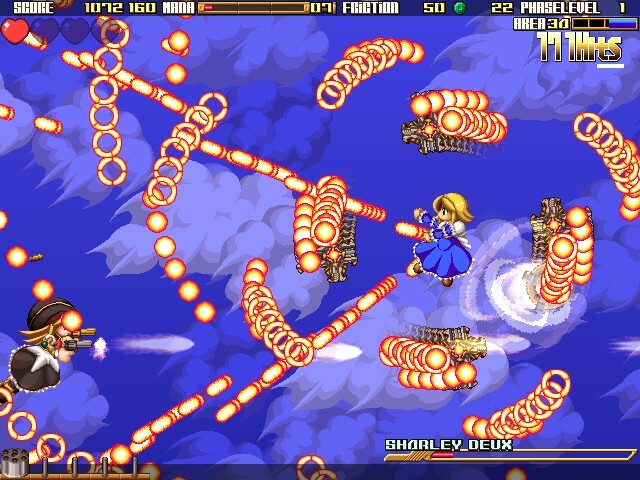 I was tempted to assume that all of the Rockin' Android games were going to be pretty similar—bullet hell shooters with tiny girls flying around and blowing up other girls. Turns out I was only half right about Acceleration of Suguri X-Edition. Fortunately I was wrong in all the right places, and found myself pleasantly surprised by an innovative take on a fighting game. 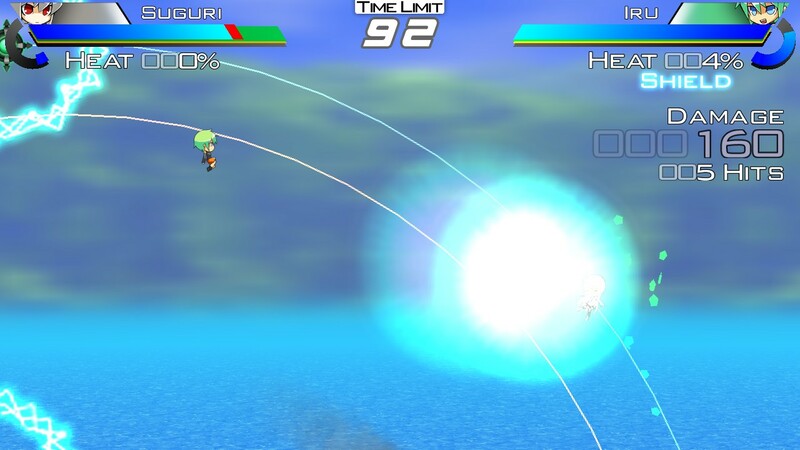 In Suguri, you pick and choose your favourite anime style girl robot alien clone and hop into a floating arena with your opponent. 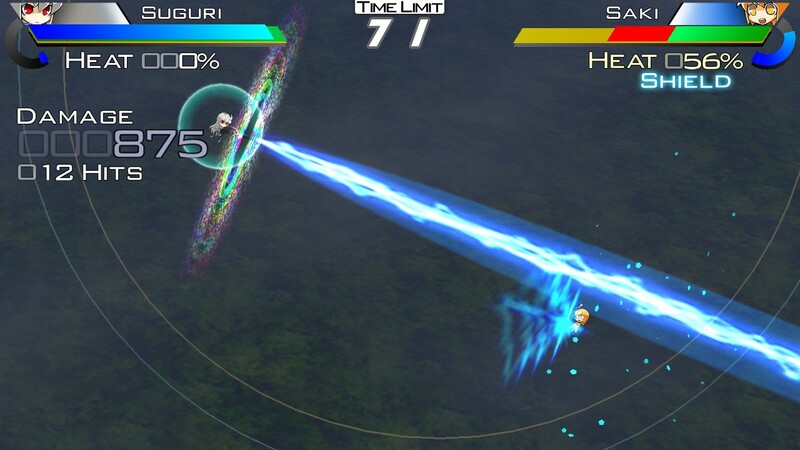 Using your two main attacks and a boost ability, you have to whittle away your opponent's health bar with many bullets while they try to do the same. If things get too hectic, a shield can be thrown up hastily to avoid damage, while charging your special meter lets you throw out a massive super attack. 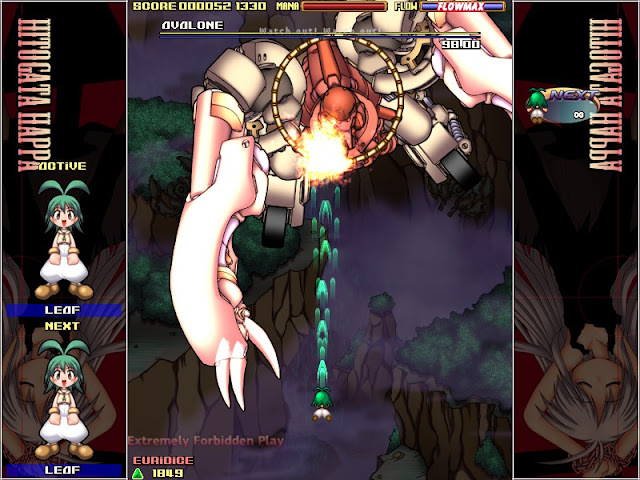 The game can feel a bit spammy, as you really don't have many attacks or options, but racing around your opponent's attacks evokes much of the same thrills common to the bullet hell genre. It's such an absurd idea for a game that it's surprising to see it work so well. The game has all the proper fighting game trappings like arcade modes, two player versus, replay modes, secret characters and the like. The only key difference is the aforementioned bullet hell aspects, and those somewhat serve to make the game more fun and more accessible than the average fighting game. Though the game is simple, the easy control scheme sometimes works in its favour. People might not know the intricacies of pulling of a Shoryuken, but everyone knows how to shoot and dodge. The only thing really holding it back is a bit of spotty performance and a confusing and temperamental online-play system. As a single player game it works by throwing in a bunch of modes and rankings to try for. As a local multiplayer game it works by being fun, easy to pick up and a bit hilarious. I do feel they could have made things a bit more complex and varied, but this genre mash-up should be enough to pique anyone's interest. 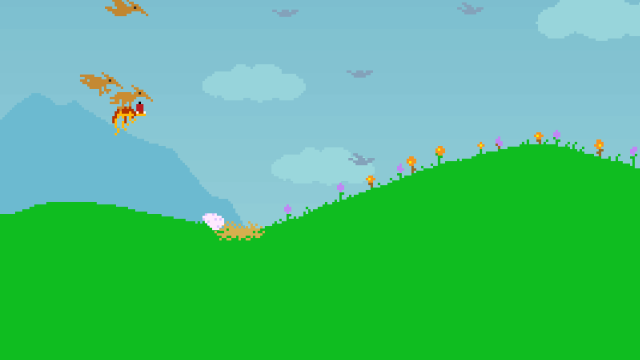 Dino Run is best known as a popular Flash game in which a dinosaur needs to outrun its own imminent extinction. It was cute, fun, a bit poignant and went beyond what you usually find in a runner game in terms of platforming and player strategy. Reflexes were all well and good, but players had to quickly think about the best way past whatever the game threw at them to avoid wasting time. It was rather good is what I'm saying. The point of the story is that Pixeljam went and made a special edition of that game, which you can now find snugly wedged on the far right of your bundle page. It's pretty robust and well worth checking out, and certainly challenges the notion that runner games are mindless, dull or repetitive. I mentioned that it's a smart game, but it's also widely varied and incredibly intense. There's a lot of rocks to dodge, gaps to jump, tunnels to navigate, asteroids to avoid and fellow dinosaurs to deal with, both friend and foe. Many perfectly fun runner games tend to be bogged down by repetition, but Dino Run uses unique elements and secrets to make each level feel unique and well crafted. 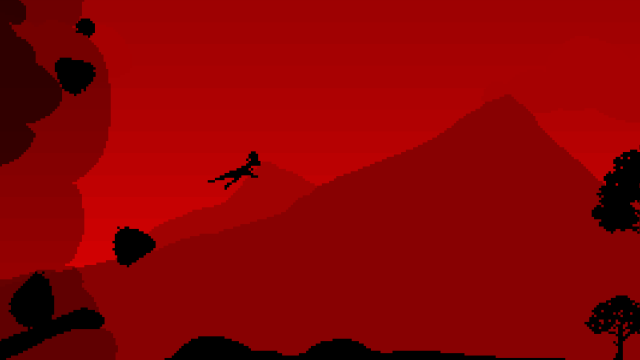 Also well crafted are the beautiful pixel graphics with the requisite flash and pop, particularly the neat processing effects that occur when the doom is dangerously and exhilaratingly close to catching up. The soundtrack is rather nice as well, which the special edition includes. It also several unlockable bonuses like prototypes and wallpapers, and enough hats that even Valve would think it excessive. Want your dinosaur to wear a fez? Mario hat? Spider-Man costume? There is a staggering amount to choose from, and even more to unlock across the game's modes. In essence, Dino Run SE is about taking the excellent gameplay of the original and ramping it up into a more robust experience, and it's a goal Pixeljam easily succeeded at. New modes, a long term upgrade system across attempts and multiplayer turns Dino Run from an interesting game into an addicting one. Don't underestimate just how much fun is packed into a simple premise. Overall, this bundle includes some of the most unknown or truly indie titles yet. To me that's a good thing, though I definitely understand how that can make deciding whether or not to buy it a tricky situation. Hopefully my verbose profiles helped you out, and if you decided to pick one up you can do so from the link below. 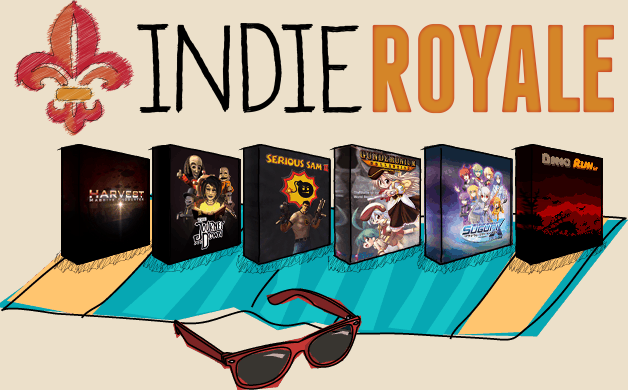 Enjoy your summer, folks, and hit up my Twitter feed for a big old Indie Royale giveaway. Aha, I was just reading a few pages on indiegames.com and after reading this I have realized that I have read just about the same thing twice without knowing it. Haha, yeah, they usually republish it there before I put it up here. At least the Gundemonium and Suguri reviews are new for you!